Check out these DIY paper mache ideas and projects for doing something creative in the upcoming weekend. 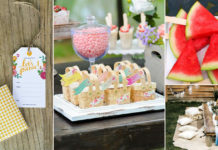 All these DIY paper mache crafts are great to do with kids and friends. Working with paper mache can damage your hand’s skin, to protect your them wear latex gloves or put on petroleum jelly or cooking oil. 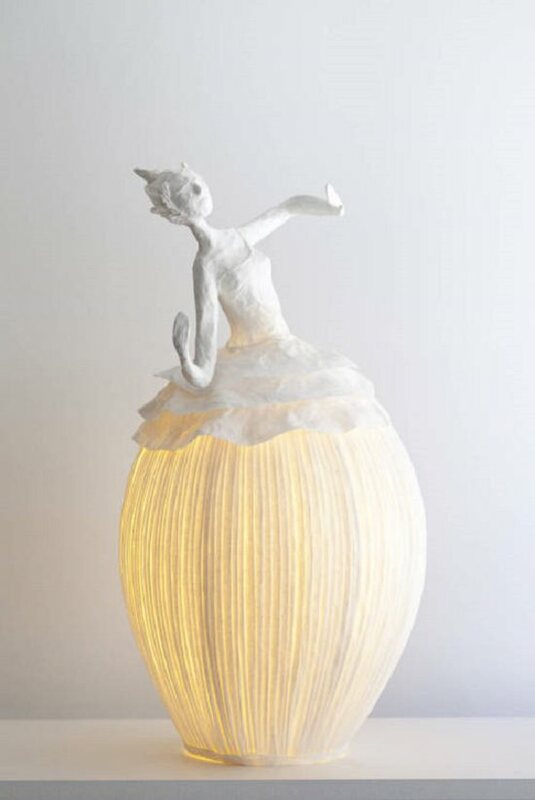 Some of these DIY paper mache ideas may require patience due to drying time but its worth it. Here’s a fun way to convert old cereal boxes into cozy homes for your seedlings. 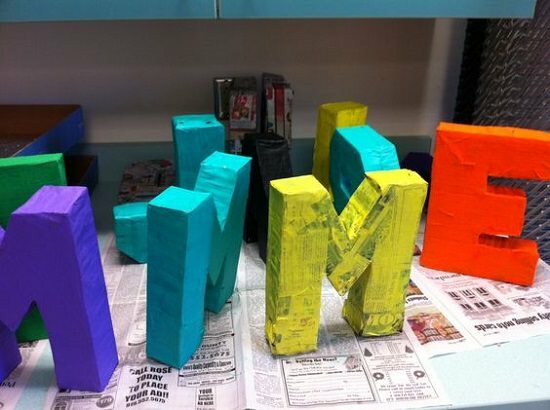 Spell out your favorite quote in big bold paper mache letters for the world to see. We got this idea from here. 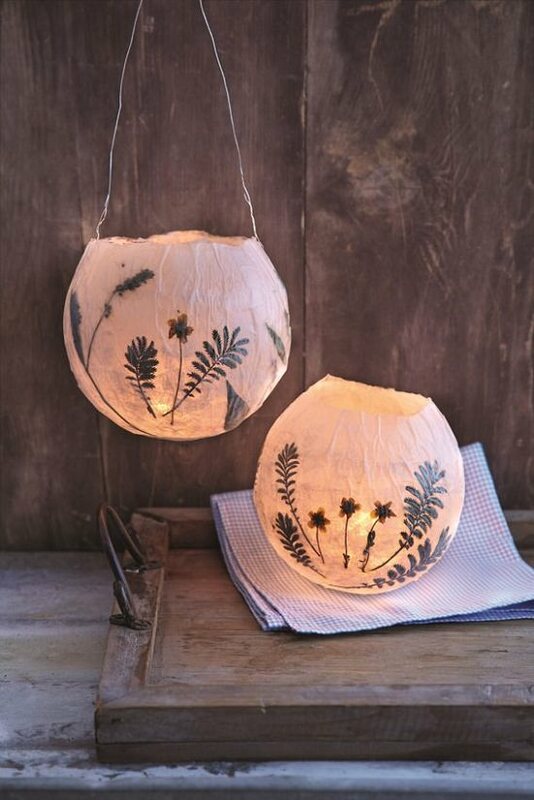 Make your porch fall-ready with these dreamy hanging lanterns that are sure to liven up an outdoor party. Learn how to make them here. 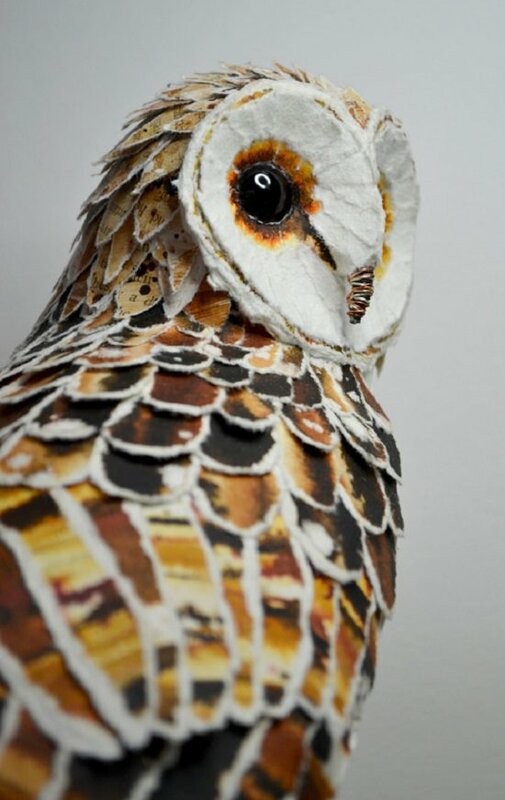 For life-sized rustic creations that inspire awe, this paper mache barn owl is a good idea. Check out this post for details. 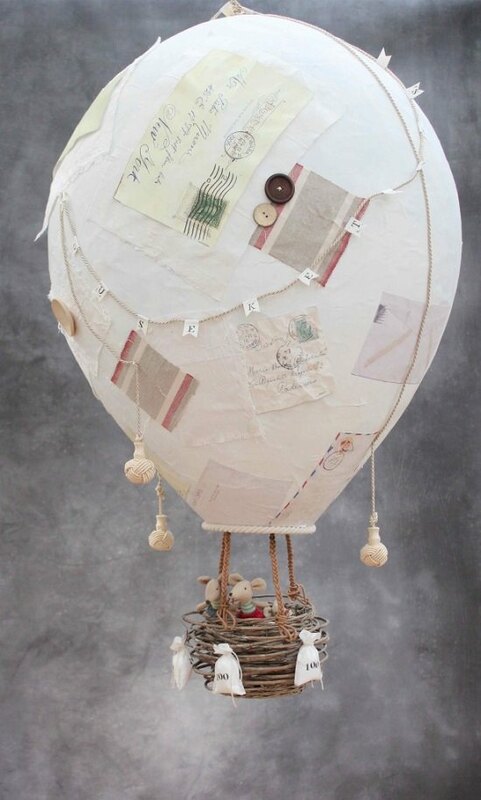 This giant paper mache balloon is a cute addition to the playroom ceiling. Click here for the detailed article. 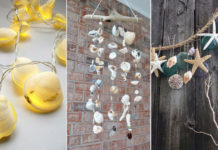 These ethereal-looking creations light up the room and create a dreamy aura, perfect for relaxing after a tiring day. Check here for more details. 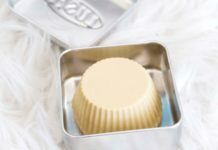 These chic storage boxes are a snap to assemble and class up the whole act of organizing craft supplies. See this post for directions. Here’s a shortcut to transforming your ordinary garden to a scene straight out of ”Alice in Wonderland. Too lazy to maintain houseplants? Make this paper mache cacti vase instead. Know more here. 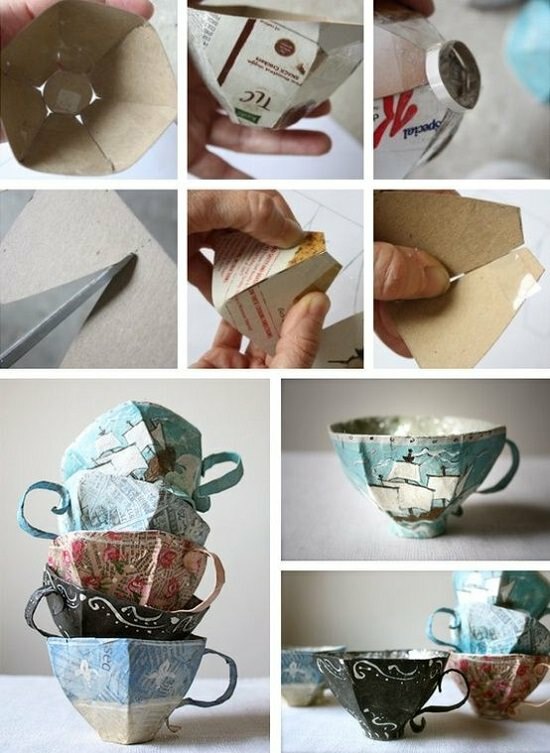 For all the DIY hoarders who boast of endless paper scraps in their stash, here’s a genius idea to put them to good use. Here’s a great DIY for whipping up artistic jewelry that can be customized to match a particular outfit. Paper mache teacups are cute accessories for the coffee table. And the best part is they won’t break in case they topple. To know more, click here. 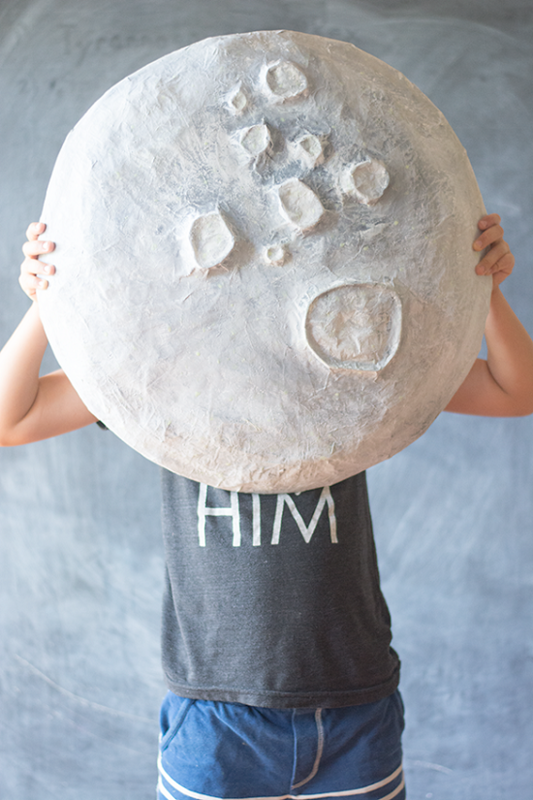 This fun science model of the moon never fails to impress! The easy instructions to follow are here. Paper mache paste is the starting point of making fascinating Halloween decorations. Get the tutorial here. This is just like the piggy bank, but with a beak and an artistic touch. Check out the details here. This fruity pinata here breaks the ice and gets the party started in awkward social gatherings. A refreshing spin on those gory animal carcasses showcased as trophies; this 3-D artwork is a cool addition to your bedroom. The tutorial in detail is here. These mock burger sculptures are a kooky way of dressing up the table. The complete guide is here. Leave your friends cooing in delight as you step in this paper mache disco-ball outfit by studiodiy. No prizes for guessing who’s going to be the talk of the evening.